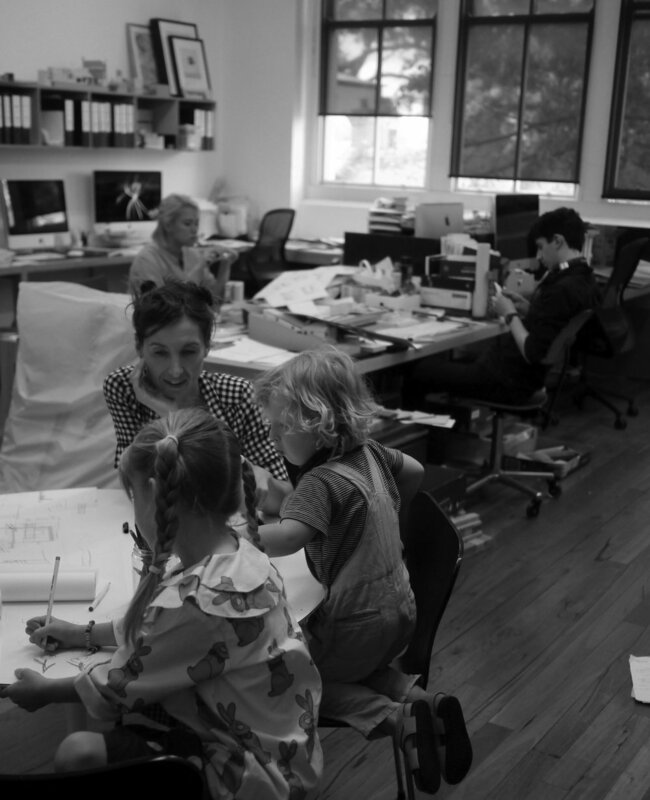 ELA is an architecture studio in Sydney that was established in 2012. Our work encompasses architecture, interiors and furniture design. We have experience across many project types and scales including private houses, cultural and public buildings, apartment buildings and the design of small studios, restaurants and bars. However, the majority of work to date has fallen into two categories: contemporary additions to buildings and the design of private houses. The practice seeks the opportunities of design and craftsmanship that exist in bespoke architecture. The experience of designing ambitious buildings with limited resources has given the practice a constructional intelligence borne equally of enthusiasm and pragmatism. Our work has been widely published and received numerous awards including two Australian Institute of Architecture awards and the Marrickville Medal. We are one of a select group of firms that is pre-qualified under the NSW Government Architect’s Strategy & Design Excellence Prequalification Scheme. We are interested in architecture with integrity and personality and seek simple solutions to messy problems. Issues concerning planning, siting, landscape integration, building performance, flexibility, longevity and material selection are key to every project. Once these aspects have been adequately addressed and we feel like the building has strong bones, only then do we explore the poetic possibilities and detailed resolution that give a project personality and make it sing. As your architect, our greatest contribution lies in strategic thinking; in understanding your needs, how you live and work and how we can make your life better through great design. We approach this task from a holistically sustainable perspective that attempts to reconcile ecological and social design impacts within the current economic climate. The process is personal, inclusive and collaborative. Over time, each project becomes a portrait that is particular to our clients, to place and to purpose. One of our biggest challenges is to develop small-footprint buildings that perform efficiently, respond to context intelligently and use resources wisely. That is to say, they do just enough and not more while increasing the comfort, health, and joy of the people who occupy them. This means making responsible decisions at every step in the design process as well as in every aspect of our practice. We believe that good design is local design and that all great architecture understands where it is and responds to site intelligently and beautifully. The relationship between building, context and occupant is key. We tailor our services to meet the specific requirements of your project. Some clients like us to manage the entire process while others prefer to be more involved. It all begins with a conversation and working out what works best for you and your budget. Each job is different and we can adjust our level of involvement as required. However, the best results always come when we are involved from start to finish. Working to a budget is of the utmost importance to most of our clients. During Sketch Design we work with square metre rates based on recent project experience to estimate construction cost. During the design resolution and construction phases, we work closely with a Quantity Surveyor (a construction pricing professional) or preferred Builder, keeping you informed of any decisions that could lead to cost increases. The majority of our work sits in the $400K to $3M construction-cost range but occasionally we do projects larger and also smaller than this. We occasionally do projects interstate but our focus is across Sydney and the NSW south and north coasts. The majority of our work is in and around Sydney and in Sydney’s Eastern Suburbs and Inner-West. We work across all LGA's including City of Sydney, Inner West Council (formerly Marrickville, Ashfield and Leichhardt), Randwick Council, Waverley Council, Woollahra Council, Northern Beaches Council (former Manly, Pittwater and Warringah), Blacktown City Council, Eurobodalla Shire Council and North Sydney Council. We have successfully navigated Local and State planning controls to secure planning approvals for our clients, whether via Complying Development (CDC) or the Development Application (DA) process. The benefits of each process are always weighed up to get the best outcome for our clients. Sometimes use both avenues like House: Kingsford for example. We are located in "Marlborough House" in Surry Hills. This is a relaxed environment where project management happens in parallel with designing and exploration through model-making, prototyping and loads of iterative drawings that test and explore ideas. It is messy at times but also precise; analogue as well as digital. Our head is generally in the clouds but feet stay planted firmly on the ground with each medium informing the others. Call us for a chat. If we feel your project is one we can do and do well then we would love to meet you to discuss what you have in mind and talk you through the process, share our design approach and discuss some of our work with you. Before we meet we ask you to respond to this questionnaire. Your response helps tease out some of the qualitative and quantitative aspects of your Brief so we better understand what you hope to achieve with your project. We are always looking for talented people to work with, and sometimes have vacancies. To apply please send a cover letter, CV and examples of your work to studio@eoghanlewis.com.au. 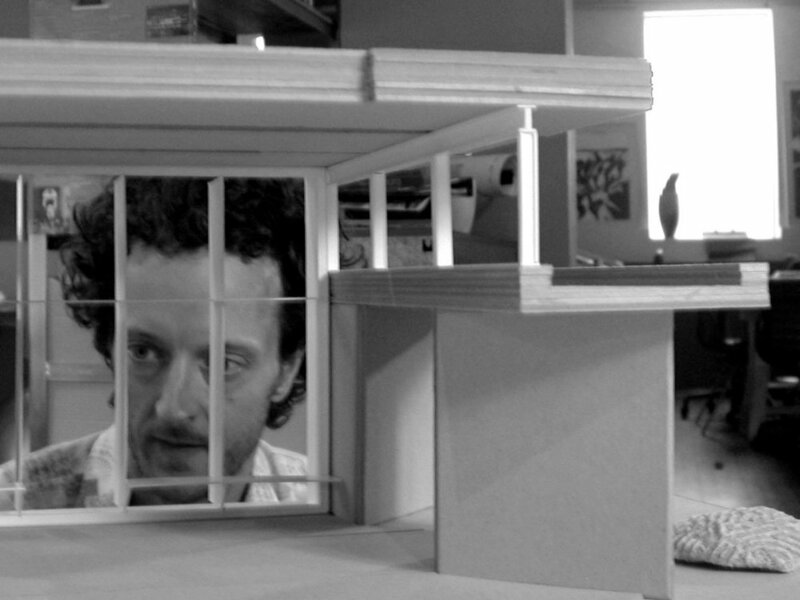 Eoghan Lewis is a registered architect (registration no 8993) and is the founding director of Eoghan Lewis Architects. After graduating from the University of South Australia he lived in Germany for several years, working for a variety of prominent firms including Zvi Hecker Architekt (Berlin) and Auer and Weber (Stuttgart) before moving to Sydney and working with Engelen Moore, Collins +Turner, BVN and Hill Thalis. Eoghan was the founder of Supple Design in 2000 which evolved into ELA in 2012. Eoghan is also the founder of the Sydney Architecture Walks which has run in parallel to practice since 2000.